This bypass engagement ring displays a scintillating solitaire diamond in the center. Glimmering diamond accents on both sides of the twisted shank accentuate the sparkle of the center stone. Crafted in 14k gold, this lab grown diamond ring makes the perfect pick to mark your commitment. The term solitaire is used to describe a single stone set into a piece of jewelry. 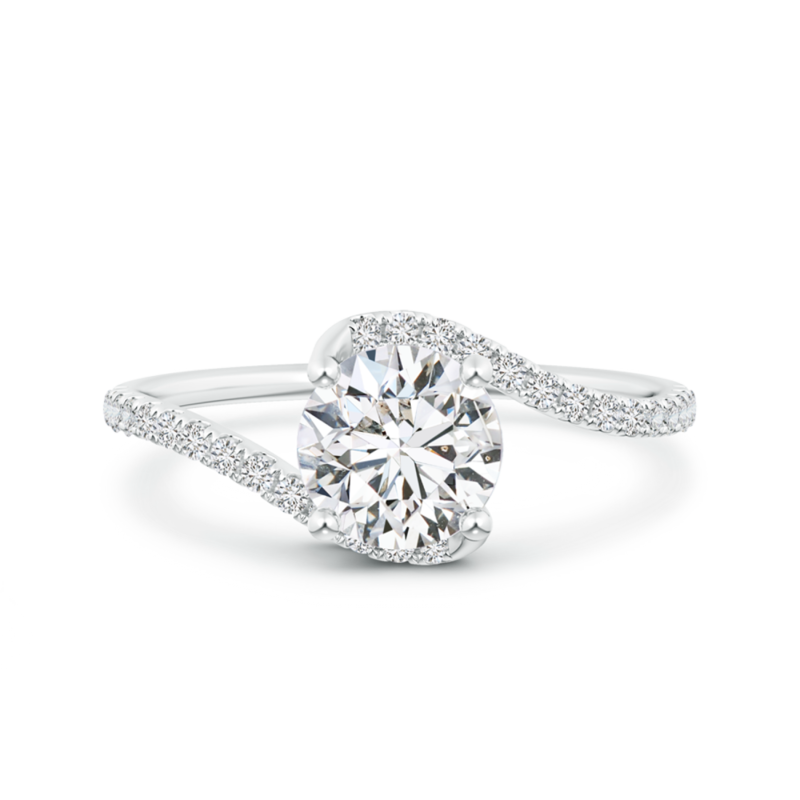 Among the many types of solitaire jewelry available, the diamond solitaire ring is perhaps the most admired. Traditionally presented to symbolize an engagement, the solitaire ring catapulted into fame during the Victorian era. Offering elegance and beauty that transcends the dictates of emerging trends, solitaire jewelry is a true classic. This product is a fine example of elegant yet fascinating solitaire style jewelry.